Location: From the intersection of Hwy 45 & County Hwy B in Land O' Lakes, continue west on County Hwy B to East Duck Lake Road and turn north. 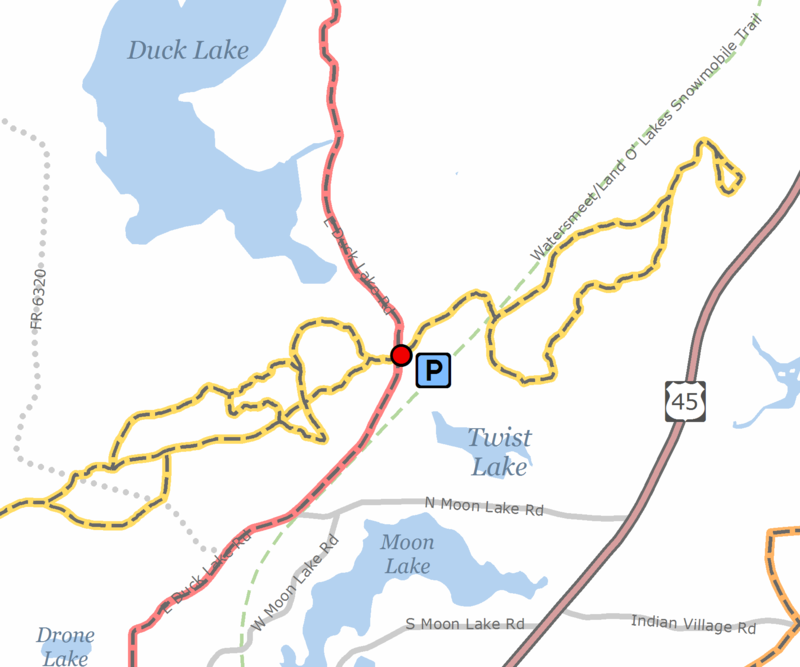 Continue past North Moon Lake Road to a parking area on the east side of the road. Passing wooded and lake view vistas, this trail offers 9 miles of groomed trails through two loops for skiers of all ability levels. Includes 2 miles of trails through hilly maple forest. East trails are groomed extra wide to accomodate snowshoeing. The trails are cleared and/or groomed and maintained by the Land O’ Lakes Fish & Game Club in cooperation with the US Forest Service.